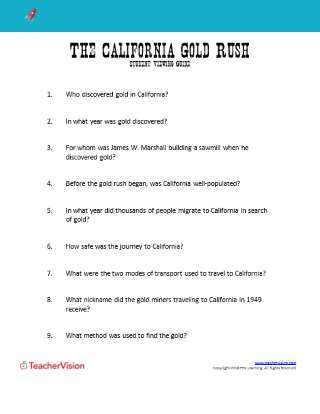 This FutureFit Project is a supplemental project-based lesson covering the 1849 California Gold Rush and map skills while examining primary sources of historical information from the time period. It is designed to reinforce core Social Studies subject material while also incorporating social-emotional learning and 21st Century skills and concepts. This FutureFit lesson is designed to supplement a standard 12-15 unit lesson for 4th-6th grade Social Studies by offering a unique project that ties together the core academic concepts with a set of FutureFit social-emotional and 21st Century Skills. 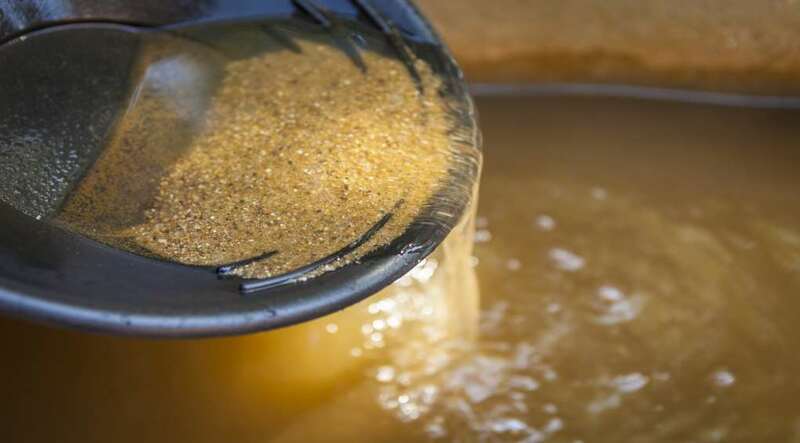 Students will learn about the California Gold Rush of 1849, and will produce a multimedia report that leverages their storytelling skills and incorporates use of maps and primary sources. This project-based lesson includes enough material for use in five 45-minute periods of instruction. D1.5.3-5. Determine the kinds of sources that will be helpful in answering compelling and supporting questions, taking into consideration the different opinions people have about how to answer the questions. D2.Eco.1.3-5. Compare the benefits and costs of individual choices. D2.Eco.1.3-5. Identify positive and negative incentives that influence the decisions people make. D2.Geo.1.3-5. Construct maps and other graphic representations of both familiar and unfamiliar places. D2.Geo.2.3-5. Use maps, satellite images, photographs, and other representations to explain relationships between the locations of places and regions and their environmental characteristics. D2.Geo.8.3-5. Explain how human settlements and movements relate to the locations and use of various natural resources. D2.His.2.3-5. Compare life in specific historical time periods to life today. D2.His.6.3-5. Describe how people’s perspectives shaped the historical sources they created. D2.His.13.3-5. Use information about a historical source, including the maker, date, place of origin, intended audience, and purpose to judge the extent to which the source is useful for studying a particular topic. D3.1.3-5. Gather relevant information from multiple sources while using the origin, structure, and context to guide the selection. D3.3.3-5. Identify evidence that draws information from multiple sources in response to compelling questions. D3.4.3-5. Use evidence to develop claims in response to compelling questions. D4.6.3-5. Draw on disciplinary concepts to explain the challenges people have faced and opportunities they have created, in addressing local, regional, and global problems at various times and places.